Wonder Years Learning Center in Munster offers a nurturing curriculum for children ages six weeks to 12 years old. The staff and teachers at our daycare are passionate about offering a safe and welcoming environment for every infant, toddler, and young student. Every moment seeks to engage students and help them have fun while learning! We understand that taking your kids to daycare might not be the easiest part of your day, but we want to assure you that our facility is safe and secure. Our center’s state-of-the-art security and camera system keeps the students protected as well as allows for parents to monitor their children’s growth from work, home, or on-the-go. Infant Childcare - This program has been designed to encourage growth in language, sensory skills, and motor coordination. Toddler Childcare - We focus on curriculum that builds language, creativity, and self expression. Preschool - Our programs build a foundation of learning that will help your child thrive throughout their school journey. Whether you’re bringing an infant or a 10-year-old to our learning center, we love being able to see our students learn on a daily basis. We have a range of activities that keep your child engaged, through interactions with other kids and solo activities to learn problem solving. Nap time, play time, story time, or snack time, the staff at Wonder Years are dedicated to creating a safe and nurturing environment where your child can thrive. We want our space to feel like home, so that everyone feels comfortable and welcomed. Play time is a wonderful opportunity for children to interact with each other, run around, and release some energy! While your child is playing, you can enjoy peace of mind knowing that the play spaces, equipment, and toys are thoroughly cleaned, sanitized, and are regularly inspected for safety. We love getting to know each and every little one that comes through our learning center. But we know that each student has their own needs and personalities. We strive to make every student feel special and unique and we want every child to feel at home in our facility. 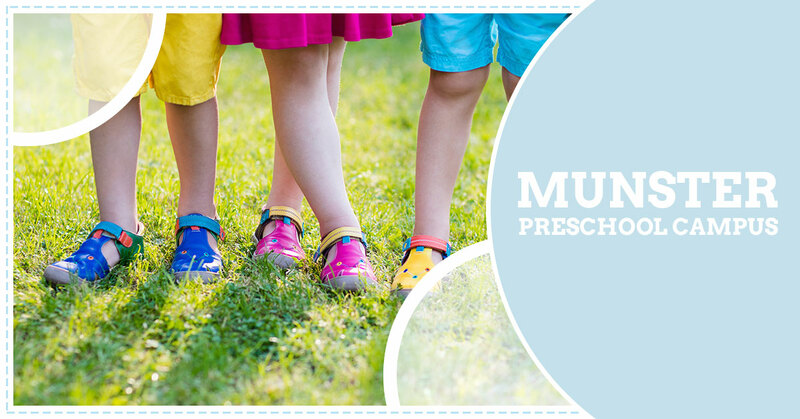 We can’t wait to show you around our Munster daycare and to help your son or daughter start their educational journey! For more information, contact Wonder Learning Center at 219-750-1900.